If you are looking for a lightweight and amenity-packed trailer, then this Connect is exactly what you want. 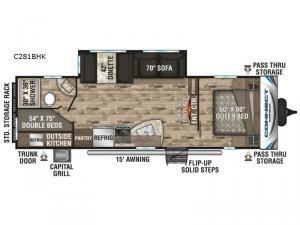 With its indoor kitchen and pantry, plus the outdoor kitchen including a capital grill, this unit provides plenty of extra tools for you to create a hearty dinner that will feed everyone who has joined you on your travels. 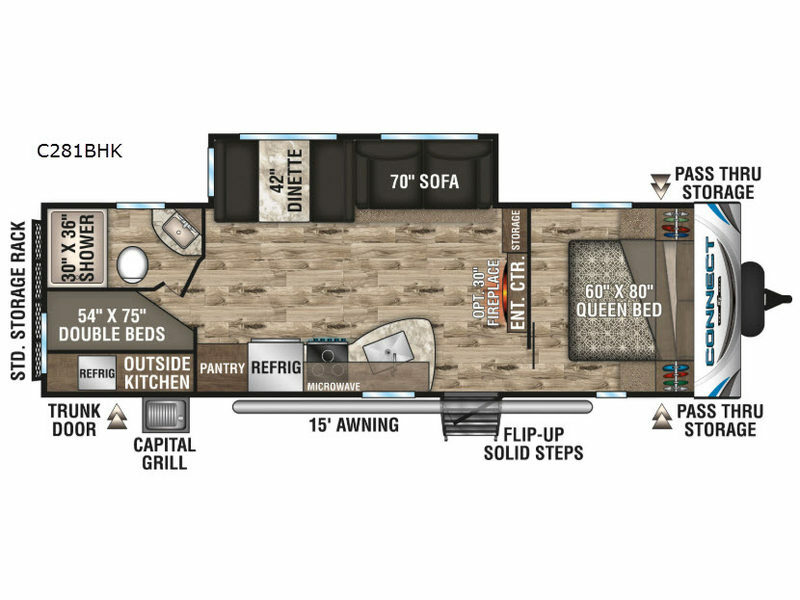 Because this trailer comes with a set of double size bunk beds, a private bedroom with a queen bed, and furniture in the living area, it has an impressive capacity to sleep nine people. You will also find a USB port in the living room and the bunk area to keep your devices charged, an LED TV to watch your favorite shows, and a multimedia stereo with Bluetooth, DVD and NFC wireless connectivity to mention a few more features. Take a look, you will be a happy camper!